Calling students keen to travel and volunteer at a major global sports event! Would you like to volunteer at the World Badminton Champs in Malaysia or the Wrestling Champs in Brazil? How about the Cheerleading Champs in Poland or Netball Champs in Uganda? 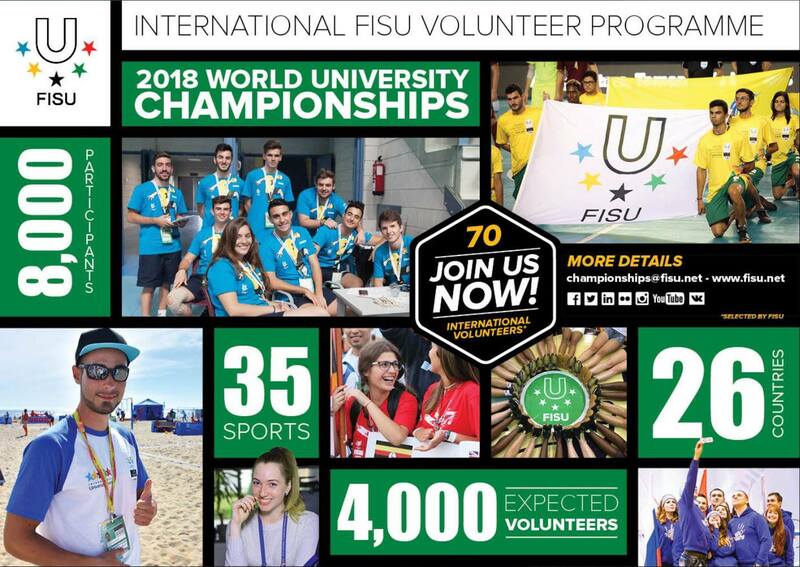 Some of you may not know that New Zealand tertiary students can apply to be a volunteer at the FISU World University Championships. If your application is successful, FISU will cover your accommodation, local transport and full board. It is a unique global work experience to put on your CV and allows you to make contacts in the international sporting community. The Championship events occur every two years, featuring many different sports around the globe.